A 5-part program that empowers teachers to effortlessly provide high-school students all the evidence they need to be more certain about a transcendent, super-intelligent, creative power: God. Based on the award-winning book, New Proofs for the Existence of God: Contributions of Contemporary Physics and Philosophy by Fr. Robert J. Spitzer, S.J. Ph.D., The Reason Series follows college freshman Joe as he learns to defend his faith from his atheist roommate, Tyler, with the help of physics and philosophy grad students, Dan and Alana. 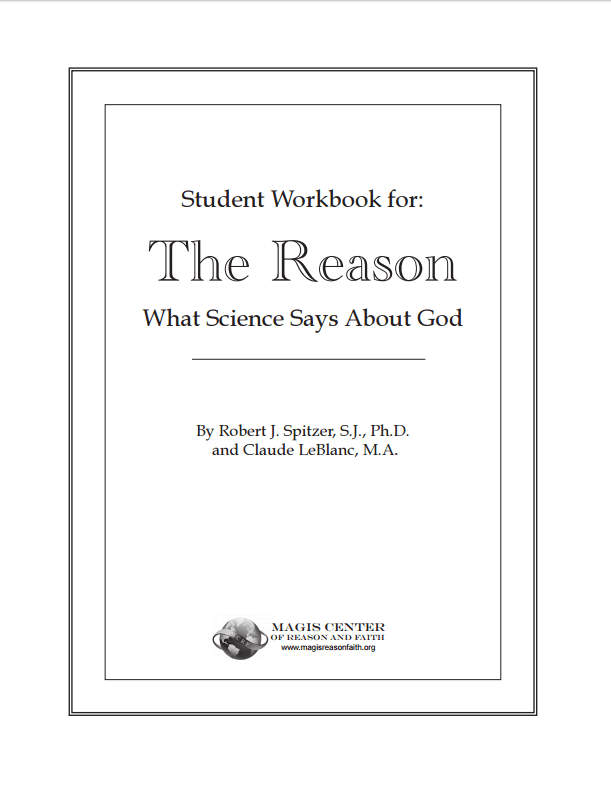 The Magis Center produces educational materials designed to refute contemporary “secular myths” such as, “science has proven God does not exist.” They are aligned with the USCCB-Curriculum Framework and the Catechism of the Catholic Church. Why science can’t disprove (or prove) God exists. The evidence for a beginning of the universe (or any multiverse) from the Borde-Vilenkin-Guth Proof. The evidence for a beginning of the universe from entropy. The evidence for supernatural design from universal constant’s and the initial conditions of the universe. The evidence for survival of human consciousness after bodily death (from medical studies of near death experiences). 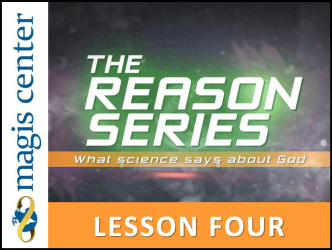 How the bible and science can be, and should be, reconciled? Why Jesus Christ is significant? 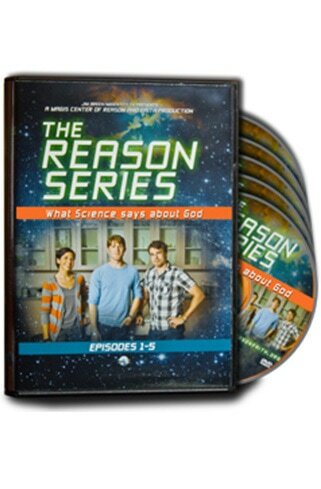 This 5-DVD set covering the topics mentioned above can be shown in the classroom. Teachers can stop the DVD presentation to engage the students in discussion, and to check their comprehension of the content. This is a dramatization of a college student who must contend with an atheist roommate through the help of PHD students in physics and philosophy. This has already been shown in dozens of classrooms around the United States. Students not only benefit from it, but enjoy it. The science in the DVD’s is quite contemporary, and biographies of physicists and references are given in the Faculty Resource Manual. Each DVD contains oral and written summaries and many engaging graphics within the dramatization. It is filmed at Mt. Wilson Observatory, and college and high school campuses. This Faculty Resource Manual contains extensive summaries and explanations of all the concepts and evidence presented in the DVD’s. It also provides biographies of key scientists, references, quizzes, answers to quizzes, classroom discussion suggestions, and extra projects. This Student Workbook contains extensive explanations and summaries of the concepts and evidence discussed in the DVD presentations. It also contains biographies of key scientists, quizzes, and discussion questions and topics. The complete set of three items (the 5-DVD Set, the Faculty Resource Manual, and the Student Workbook) and may be purchased for $49.95 (a savings of $9.06). 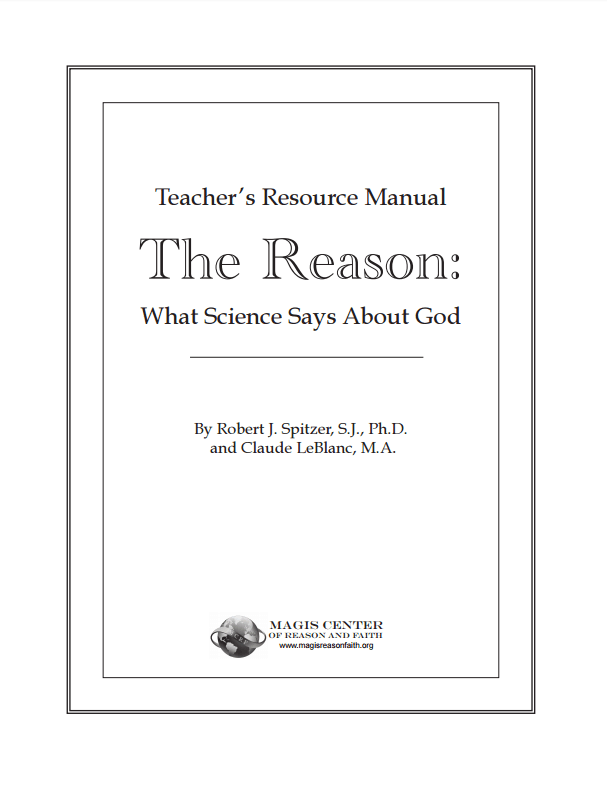 A PDF Teacher’s Resource Manual with: detailed lesson plans, prayers, handouts, assessments, additional activities, video clips, and more, all which can be used in a variety of settings and time frames. This study has received the Imprimatur. Get started by browsing the sample of the Teacher’s Resource Manual, or selecting one of the Lessons. The lesson plans can also be opened directly from the Manual. These materials are designed to be used with the DVD or the VOD video set. You can print student handouts from the Manual, or purchase student workbooks which contain all of the handouts and quizzes. We encourage you to buy the workbooks: in our experience, the students are more likely to keep these books for future reference. Contact us if you have any questions or concerns about these materials or their use. We will try to respond to all questions within 24 hours on weekdays. Please feel free to send us your insight and observations. We are always looking for ways to improve how we can serve you. Subscribe to our mailing list to get the Magis perspective on faith, science, culture, and more. Copyright © AOWH Solutions. All rights reserved.